Oh the irony of testing a device that can give an instant display of your bike (or car) battery’s remaining charge, while letting my own KTM 1050 get so low that I have to jump start it from my car. 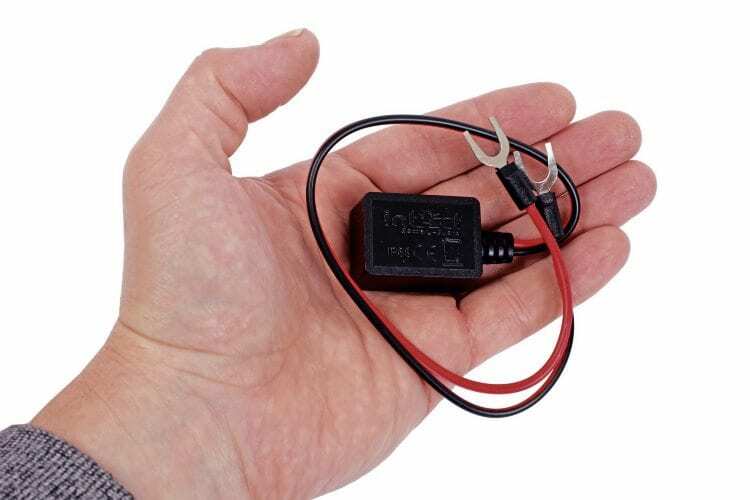 The Battery Guard is a very small and light unit that simply attaches directly to your 6v, 12v or 24v battery, drawing (by my tests, not manufacturers claims) around just 1.3mA. 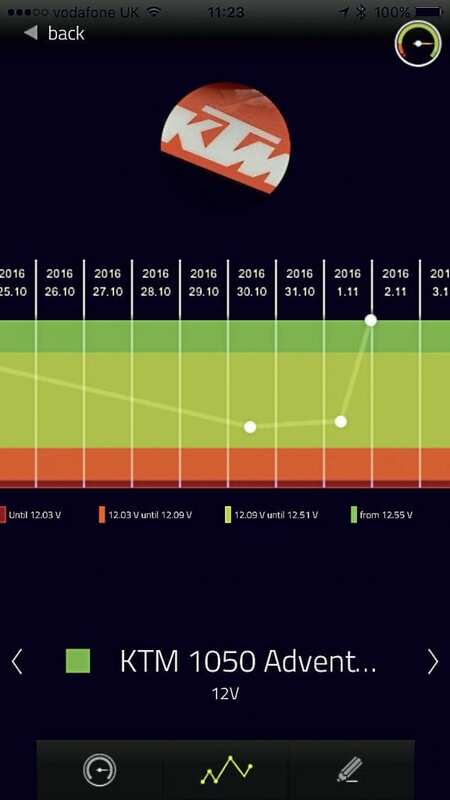 By downloading a free app to your iOS, Android or Windows 10 phone/tablet, you can quickly connect and check the current Voltage, as well as a graph of the recent readings. During a check, the unit pulls about 2.1mA, but that drops back down to the standby current as soon as the application is closed on your phone. Compared to my mid-range multimeter, it’s accurate to within 0.02v, and as the Bluetooth range is up to five metres, I’m able to check my battery while sat in the living room, next to the garage. 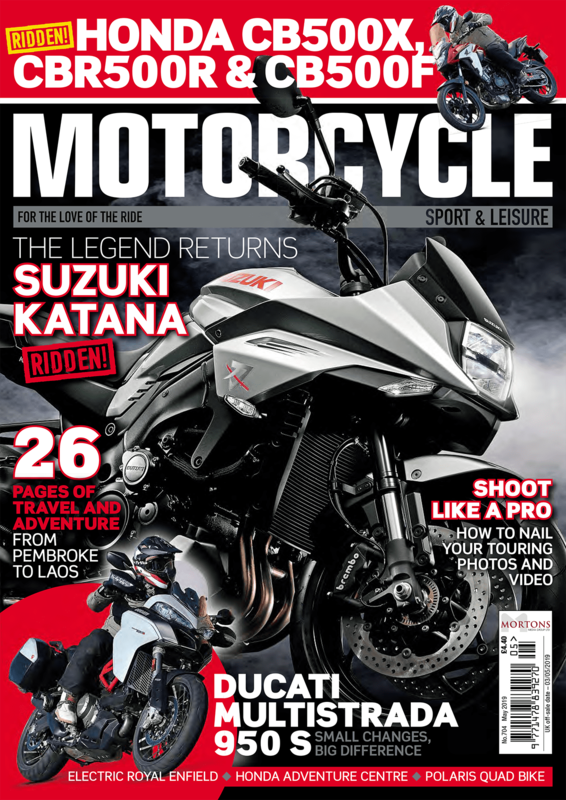 I wish I’d been doing that with my KTM, as I’d have realised how flat the battery was getting. Needless to say, it’s fitted now. The unit is accurate compared to my multimeter. Simple coloured bands back up the voltage display, though those using lithium batteries should ignore the yellow band that on a lead-acid pack would be the point where you should be thinking about charging – with lithium it would be in a state of deep-discharge. 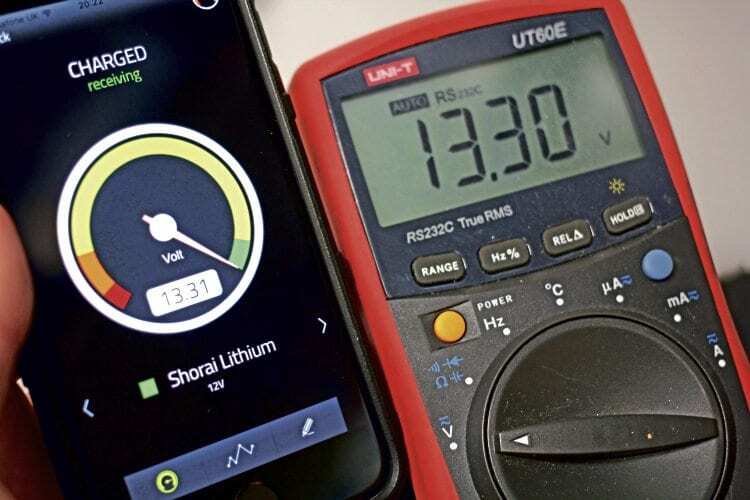 The graph page is a handy reference for checking how your battery is discharging. After fitting to my KTM, I was able to see when the battery was getting low. This is particularly useful if you have an alarm or tracker fitted, as it’s a cheap, simple way of keeping an eye on the battery of a vehicle that’s not being used regularly. The app can keep track of up to 10 units (a paid app can track up to 100), and is very simple to use, making it a very worthwhile addition for machines not permanently attached to a charger.